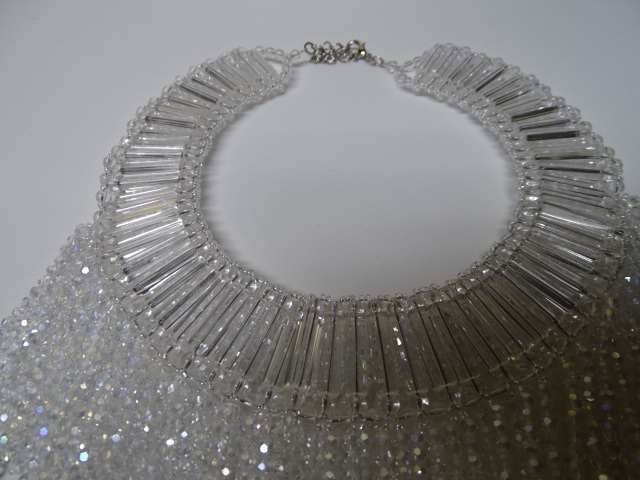 This clear crystal waterfall necklace was created especially for Clive’s Unique Jewelry. 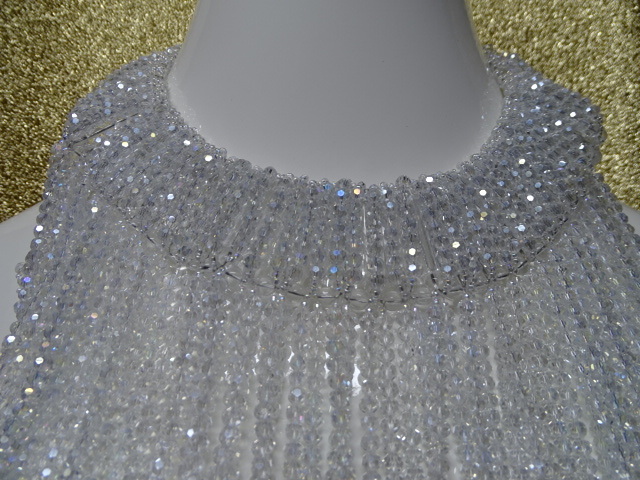 The 1 1/2″ wide track supports over 50 strands of clear faceted crystals in graduated lengths. 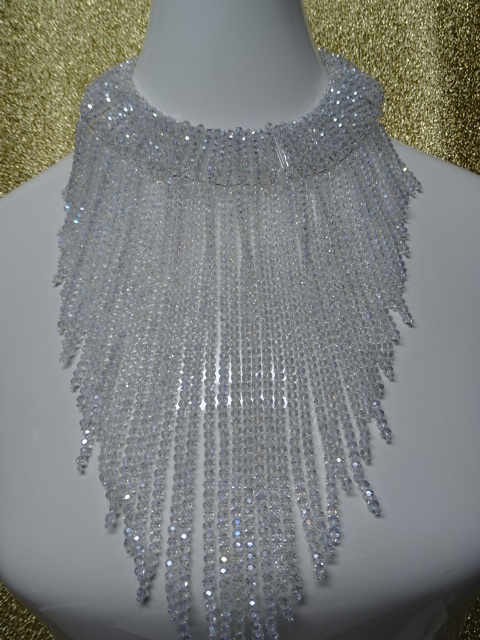 The necklace extends about 14 ” in length. 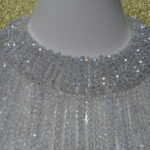 The track on the reverse side consists of clear glass bugle beads which support the waterfall. 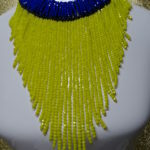 This is the second of 4 necklaces created for Clive’s Unique Jewelry and is all artisan crafted. 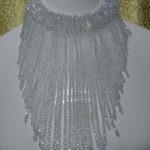 Make an unforgettable statement walking down that aisle. Remember, ship[ping & insurance are always at no charge.